Justice League NYC and Color of Change rallied in front of NFL headquarters. Several hundred Kaepernick supporters showed up, holding signs and chanting "I’m with Kap." The event’s speakers took the NFL to task for a lack of racial sensitivity and Kaepernick’s continued unemployment. 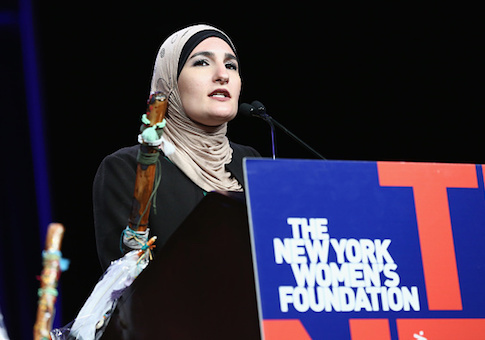 This entry was posted in Culture and tagged Linda Sarsour. Bookmark the permalink.